Puretec Industrial Water specializes in building high quality Reverse Osmosis systems and providing excellent maintenance service to ensure long term reliability. 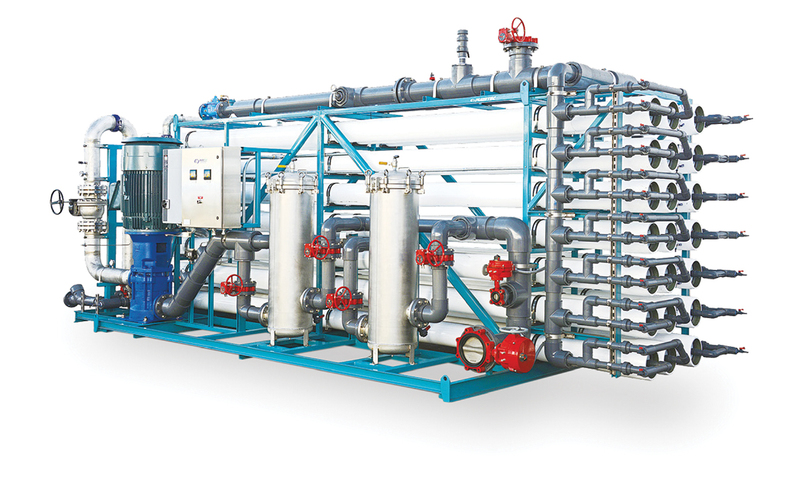 Our Reverse Osmosis systems are custom designed specifically for your water treatment requirements by an experienced team of application, mechanical and chemical engineers. We also provide maintenance agreements to ensure that your entire water treatment system is operating at peak performance. Puretec designs and builds Reverse Osmosis systems ranging in size from 1 GPM (1440 GPD) to 500 GPM (720,000 GPD) that can remove up to 99.5% of dissolved salts and virtually all colloidal and suspended matter from the most challenging feed water including municipal, brackish, and sea water applications. Puretec Industrial Water offers preventive maintenance agreements to ensure that your RO and pre/post treatment systems are functioning at peak performance. An experienced engineer can work with you to develop a customized preventive maintenance schedule that is designed specifically for your water treatment system. Puretec specializes in off-site RO membrane cleaning using an effective cleaning regiment with high quality cleaning solutions to help bring your membranes back to near new performance. All RO membranes are pre and post-tested and a complete cleaning report is provided to our customers upon delivery showing how effective the cleaning was in restoring flow and salt rejection.